Today at the LA Auto Show, we have the man who has spent more than a decade spearheading the designs of Nissan, Infiniti and the budget Datsun brand in other markets. Meet Shiro Nakamura. He’s here to answer your questions! He joined Nissan in 1999 and has been responsible for many notable vehicles, including Nissan 350/370Z, Altima, CUBE, Murano, Qashqai, JUKE and the GT-R – as well as Infiniti M, G, FX, and Q50. His recent concepts include Nissan Resonance, Sport Sedan Concept, Friend-ME Concept, Kicks Concept, Infiniti Essence, Emerg-e, Q30 Concept, Q80 Inspiration and Datsun Redi-Go Concept. 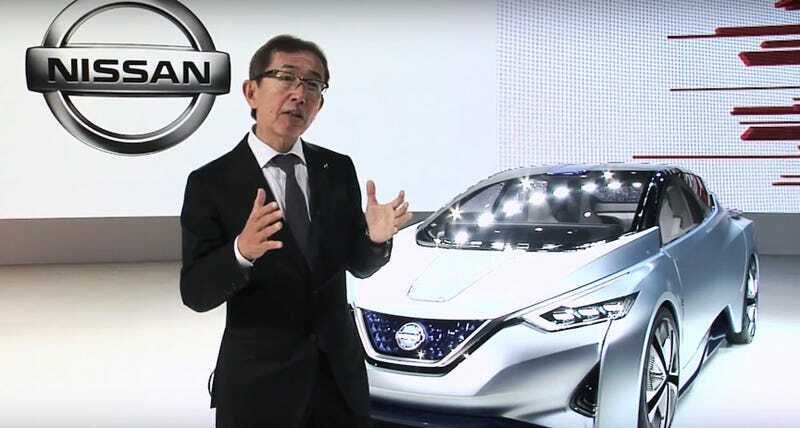 Before joining Nissan, Shiro Nakamura spent 25 years of his career at Isuzu Motors, working all over the world in senior level positions of the design department. He also spent time working at General Motors, and has been based in the United States, UK, Belgium and Japan. He’ll be here for the next 30 minutes or so to answer your questions. Ask away! Update: Nakamura-san had to jet, but he thanks you all for your questions!